With an approximate area of 429 square kilometers, Chang Island--meaning Elephant Island from the elephant shape of its headland is Thailand’s second largest island after Phuket. 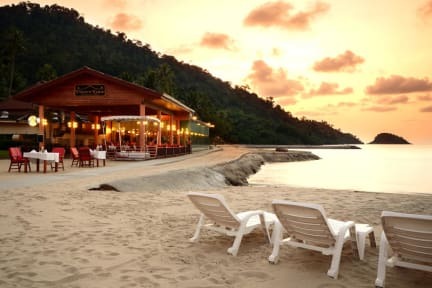 It is a picturesque island of virgin rainforest, untracked jungles, high mountains, spectacular coastlines, fine white sandy beaches, clear blue sea, colorful corals, breathtaking waterfalls and an abundance of marine species. 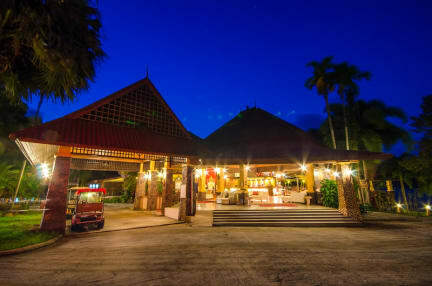 The Aiyapura Koh Chang is a peacefully secluded hotel located on a forty-acre beachfront property of Khlong Son Bay. A variety of beautifully designed and constructed Thai style villas and suites are surrounded by exoticly landscaped tropical gardens with astounding ocean views, set around a large and crystal clear 30-metre leaf shaped swimming pool. We offer the perfect natural environment for relaxation and a well-located base to explore all of the activities Chang Island has to offer.